Lex Dove thought he was done with the killing game. A retired British wetwork specialist, he’s living the quiet life in the Caribbean, minding his own business. Then a call comes, with one last mission: to lead an American black ops team into a disused Cold War bunker on a remote island near his adopted home. The money’s good, which means the risks are high. 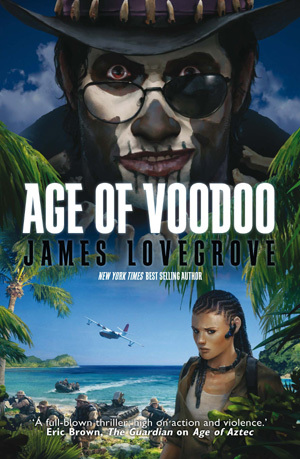 Dove doesn’t discover just how high until he and his team are a hundred feet below ground, facing the horrific fruits of an experiment blending science and voodoo witchcraft. As if barely human monsters weren’t bad enough, a clock is ticking. Deep in the bowels of the earth, a god is waiting. And His anger, if roused, will be fearsome indeed.